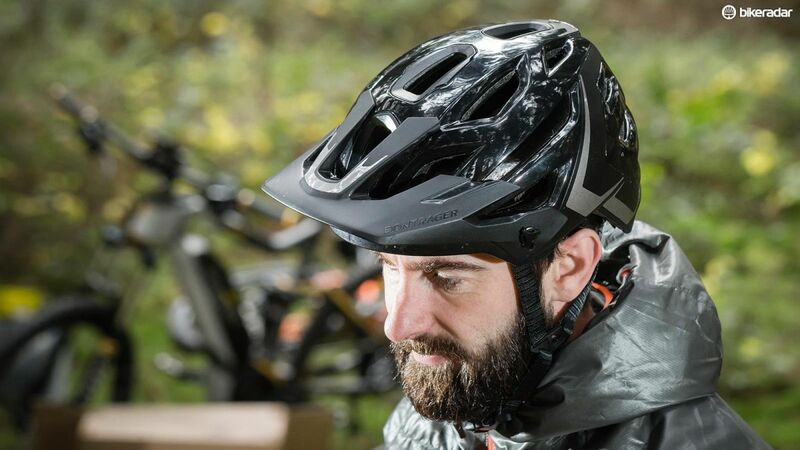 The first thing you notice when you plonk the latest version of Bontrager’s Lithos lid on your head is its weight. At 440g it’s no featherweight (it’s roughly 100g heavier than a Troy Lee Designs A1), but it is very comfortable, and that makes a big difference, especially on longer rides. Plenty of vents and good internal channeling help to give things a lighter, airier feel, and we never had any issues with overheating during testing. While Bontrager’s clip-in camera/light mount is a nice touch, adding even more weight to the helmet means you’ll need to add even more tension to the retention cradle, which you’ll really start to notice on big days in the saddle. Okay, this isn’t the full WorldTour-spec model, which is in short supply. But the new Domane promises to be one of the year’s most radical and compelling frames – and it’s not like a 7.58kg Ultegra Di2-equipped model is exactly slumming it. The new incarnation takes things a step further. 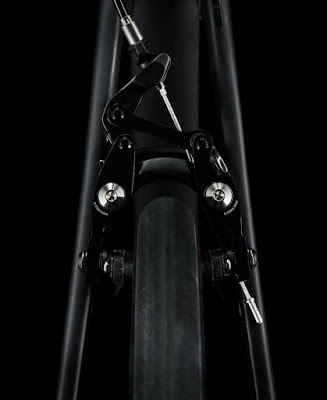 IsoSpeed remains, but the pivot is now in line with the seat tube with the tube itself split, allowing the two halves to work independently. 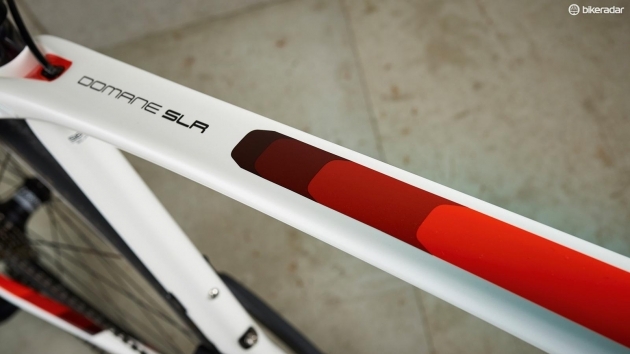 Even more radically, you can adjust the amount of flex the system offers using a slider that runs the whole length of the seat tube. 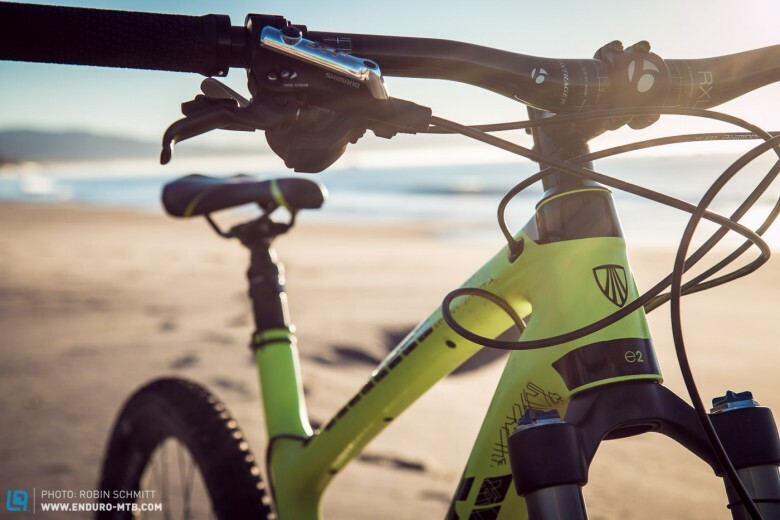 Trek claims that the new design delivers a 14% increase in vertical compliance over the previous model.What it does deliver is a claimed 10% increase in vertical compliance. The final touch is the new ‘IsoCore’ bar, which retains the earlier bar’s elastomer pads but with the addition of thermoplastic elastomer layers to damp high-frequency vibrations. We were expecting a soft and bouncy feel as a result of all these features, but what you actually get is a positive, rapid and responsive ride. At its shallowest setting the ride feels like the Madone’s, with just enough damping to keep road buzz at bay. 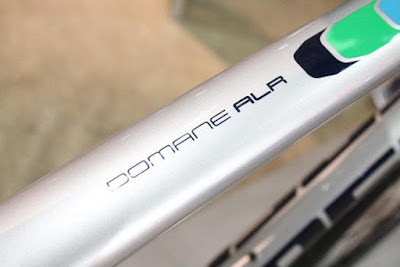 The Domane’s ability to cope with the worst surfaces you can throw at it, and at speed, is truly stunning. And any doubts we had about the Front IsoSpeed were unfounded, with the steering feeling as direct as on its Emonda stablemate.Bontrager’s tubeless-ready wheels have wide rims, and Trek has made the most of that by fitting fat 28mm tyres. They roll smoothly, are as fast as slimmer tyres and they grip superbly through corners. These contribute to limpet-like traction on descents, allowing you to confidently attack even the roughest corners, the twin-IsoSpeed setup never getting unsettled like super-stiff carbon frames can. 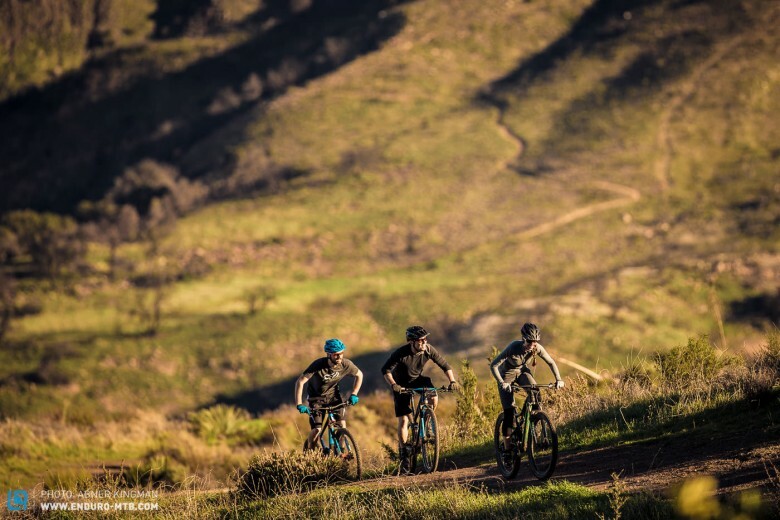 When the books closed on our California test sessions, we couldn’t help but feel there was a whole other level of rad to the Trek that we hadn’t properly sussed out. 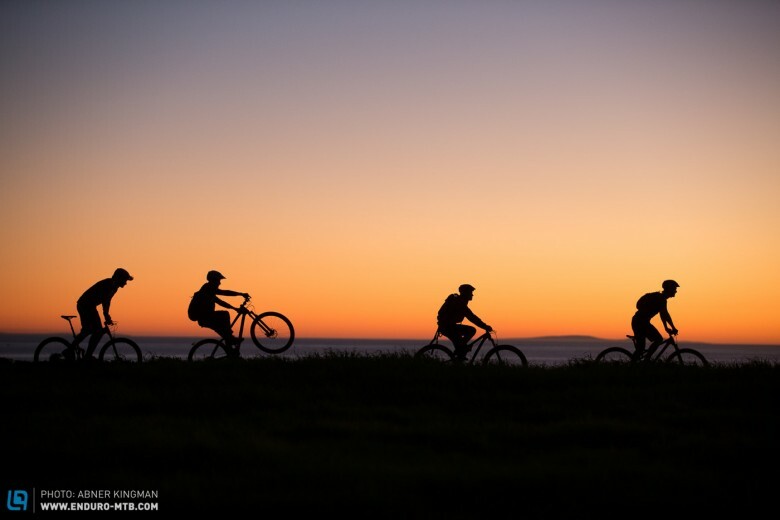 No, we didn’t slam the saddle and roll aimlessly around the streets of Santa Barbara looking for Mexican food. 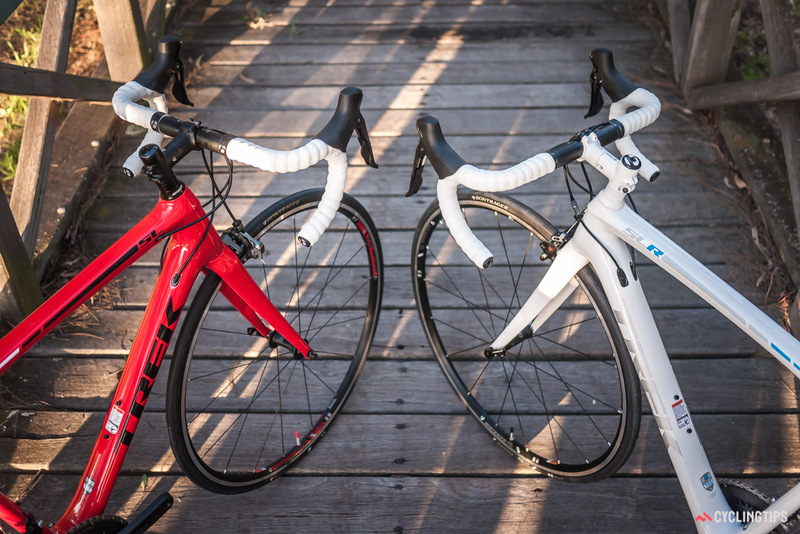 We tested the Fuel EX in exactly the same way we tested each of the other bikes. Still, we feel that in slightly different terrain and imposing slightly different parameters, the Trek might’ve wowed us in an entirely different way. But that test will have to wait for another time. By the numbers, this Fuel EX has you covered. 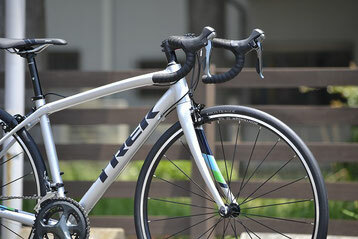 Trek’s OCLV Mountain Carbon makes up the main frame and seat stays. Its 68-degree head angle is a solid marriage of stability and agility. 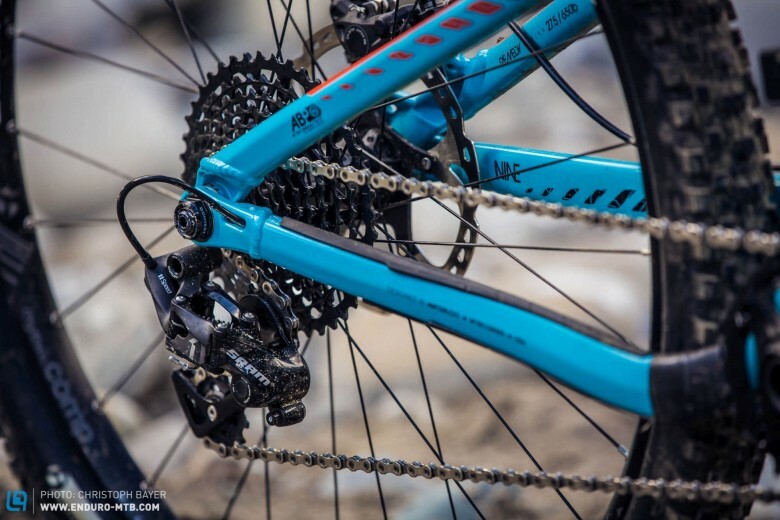 Shimano XT brakes and drivetrain provide no-nonsense, blue-collar stopping and going duties. Trek has also seen fit to spec a RockShox Reverb Stealth seatpost. 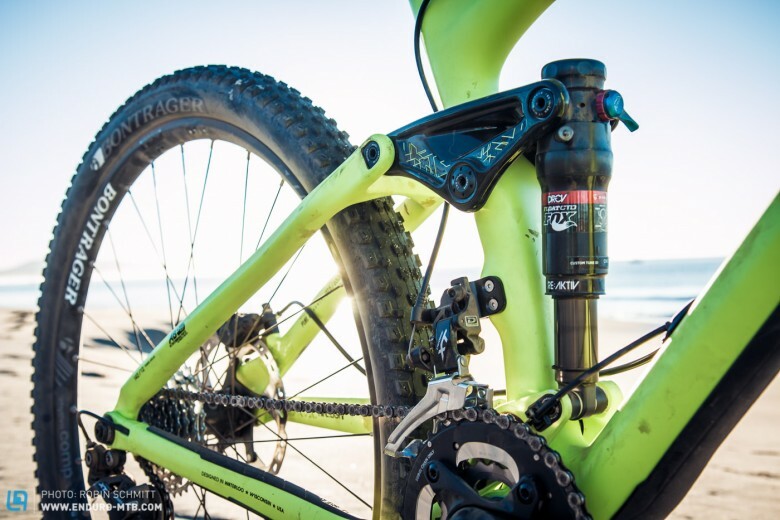 To handle the chunder, a Fox Performance Series 32 Float CTD fork provides 120 millimeters of front-end travel. 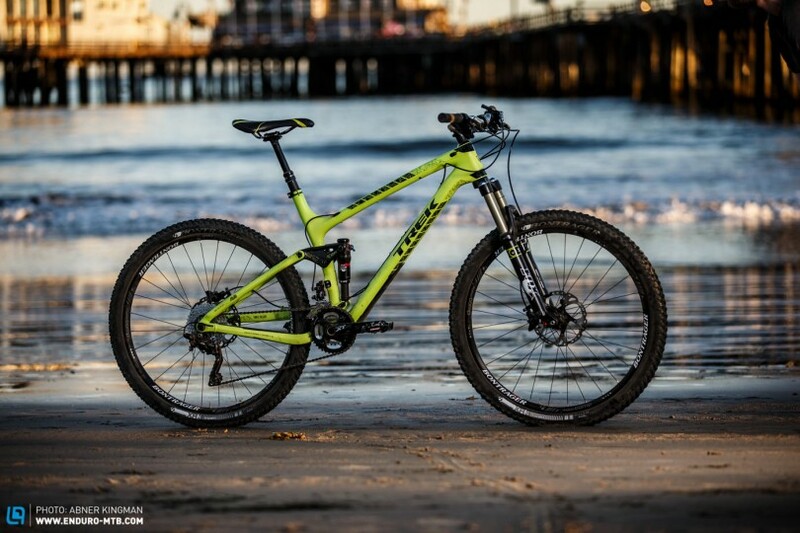 Trek collaborated with Penske Racing Shocks and Fox Factory to develop and manufacture the DRCV RE:aktiv rear shock, which is the heart of the bike’s 120 millimeters of sublime rear suspension. The RE:aktiv part of this shock equation is based on Penske’s regressive valve compression, which was originally developed for Formula One cars. These and other open-wheel cars rely on ‘downforce’ to keep them stuck to the track. The delicate balance for these racing machines was to find a way of valving the shocks so that they would support downforce yet open up quickly, allowing each wheel to soak up bumps on the track. Sound familiar? In the development of the DRCV RE:aktiv damper, Trek worked with the Formula 1 suspension expert Penske Racing and FOX. The special DRCV RE:aktiv damper is fully-floating. 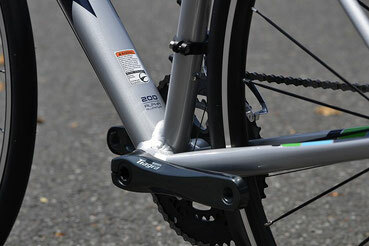 The Active Braking Pivot (co-axial positioning of the pivot and rear axle) should minimize brake influence. In practice, the rear triangle performed brilliantly. 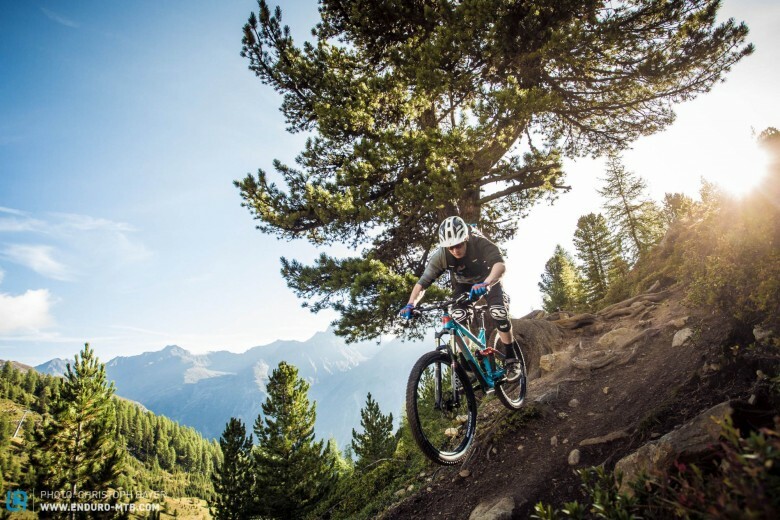 Mountain bikes are way cheaper than F1 cars, but the suspension problems they face are similar. 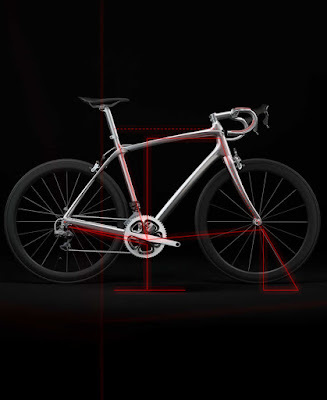 Bicycle suspension designers are constantly trying to provide enough pedal platform for maximum efficiency without compromising suspension performance. RE:aktiv is Trek’s answer to that problem. Within the confines of our test, however, RE:aktiv wasn’t used to its full benefit. And this is why we’re still riding the test bike – or at least that’s what we’re telling them. Characteristics of the Fuel EX that we did fully exploit, though, were its good-natured and stable, yet flickable and fun demeanor. Like a faithful family dog, this is a bike that feels ready to go wherever and whenever you are. We had fun charging every bit of our track on the Trek. And while some of us were able to find the limits of its front end, none of us can remember being stifled by the rear end. Who should ride a Fuel EX 9.8 27.5? If you made it this far – past the digits and dots of the 9.8 and the 27.5 – then you should. 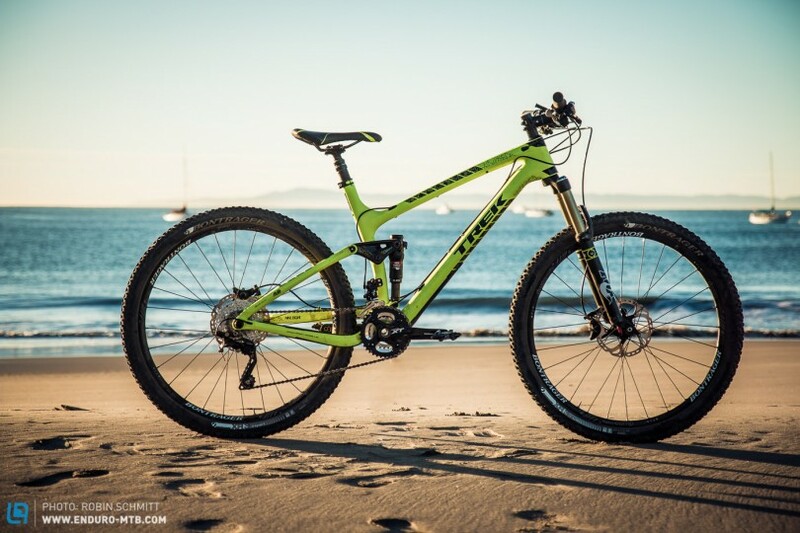 This is a badass mountain bike that would make anyone happy to hit the trails. As capable as it is, at $5,460, it is also our Best Value in Test. 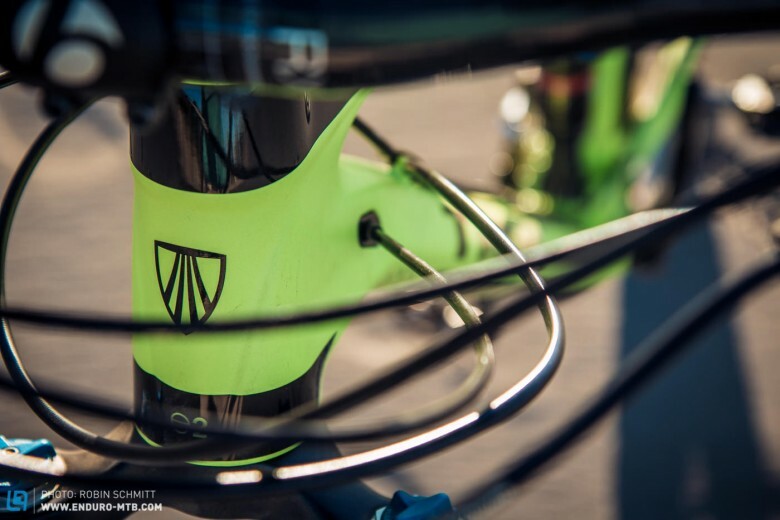 The volt green and black paint of the Trek Fuel EX 9.8 calls attention to its slick carbon frame. The cables are neatly integrated and the familiar Full Floater suspension looks clean and classy as usual. It has been left stock and it isn’t a special “heavy duty” version like some others in this test although it seems appropriate enough for the task at hand. 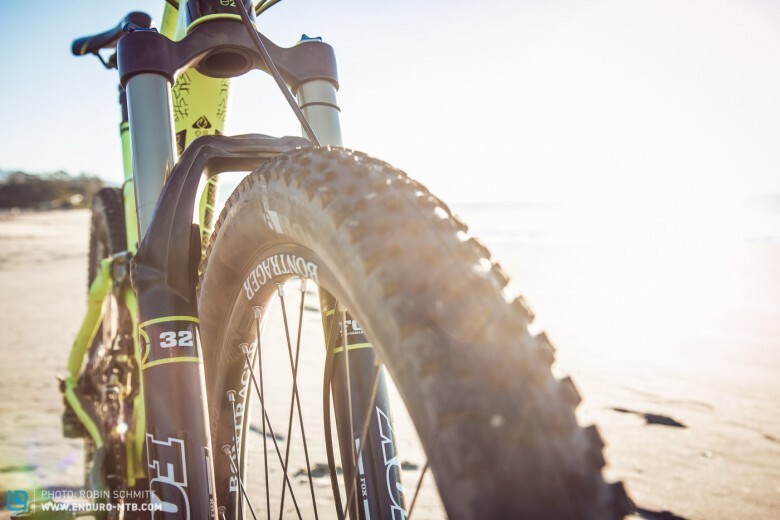 120mm of travel and 27.5″ wheels is normal in this test but we are comparing it with some 29ers and bikes of lesser travel so the result should be interesting! 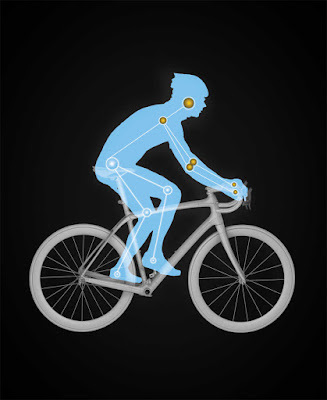 The 68 degree head angle was typical on an all-mountain bike only a few years ago. Combined with the 120mm Fox 32 Float fork with a 15mm QR axle, the bike should have a good balance of agility and confidence. 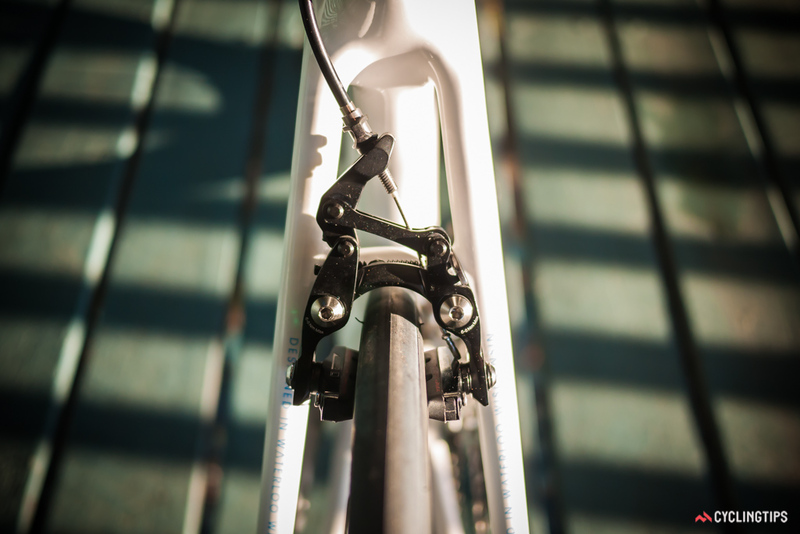 One of the only bikes in the test with a front derailleur. 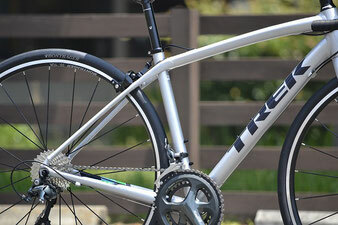 Trek has opted to maintain the 2 chainring Shimano XT drivetrain typical of XC bikes. 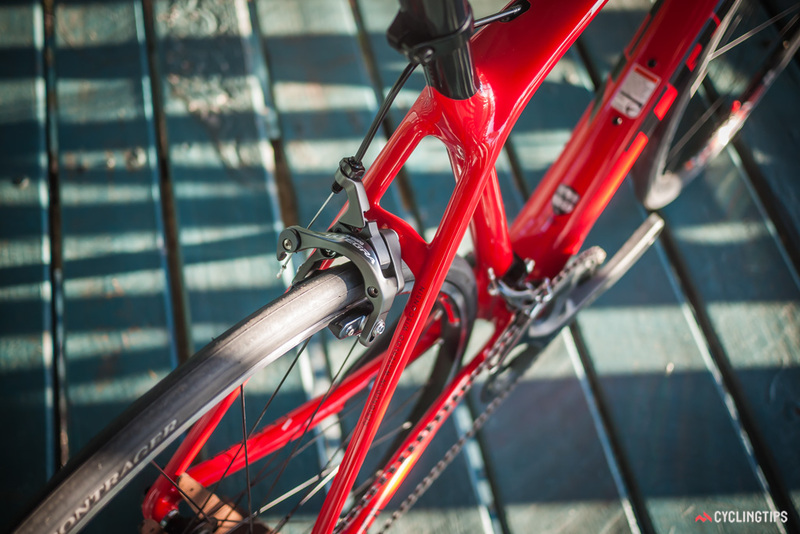 Hopefully with the low, asymmetrical chainstay and clutch-equipped derailleur it won’t make too much noise. It is 10 speed, so those interested in a 1by drivetrain will need a range extending adaptor and chainring. Well integrated technology in the rear end of the Fuel EX. Packed into the seemingly simple frame is a multitude of well thought out technology. 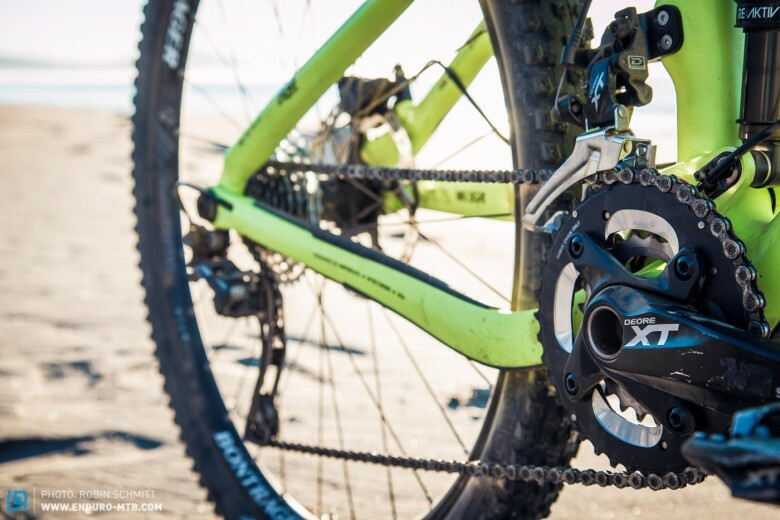 The Fox Float DRCV shock floats between two active links for a more sensitive ride. 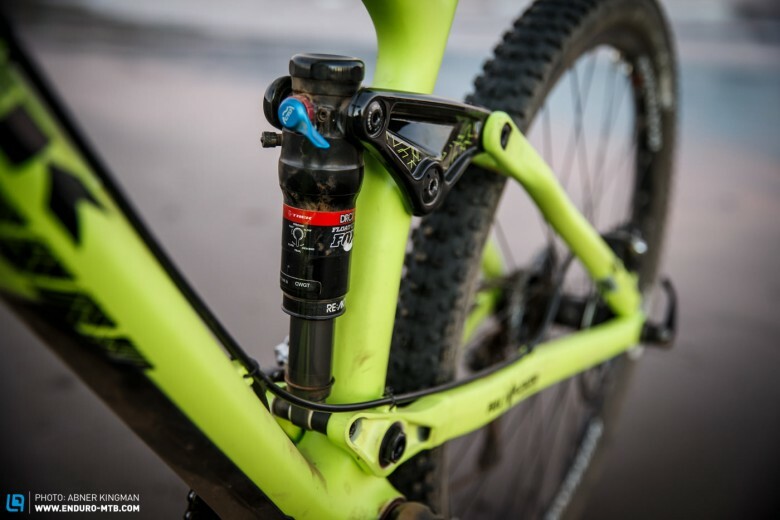 The F1 racing developed, RE:aktiv shock tuning impressed us on the Trek Remedy we tested last year and is seen here too. We have a feeling the CTD lever might not get much use with the efficient linkage and DRCV valve, which is always nice. The contrast between the matte green and gloss black is eye-catching and classy. The Fuel EX is fitted with tires and rims expected in a class above in terms of intended use. 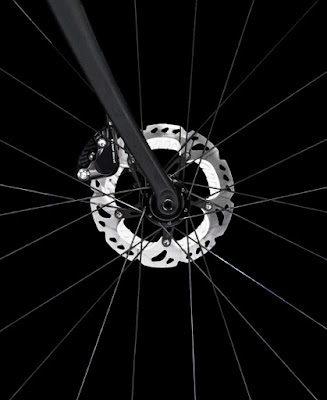 The Bontrager XR3s should be fast rolling and have the width and air volume to take a beating too! Up front, the 80mm stem is matched to a 720mm wide carbon handlebar which is a bit on the XC side of the bikes we tested. 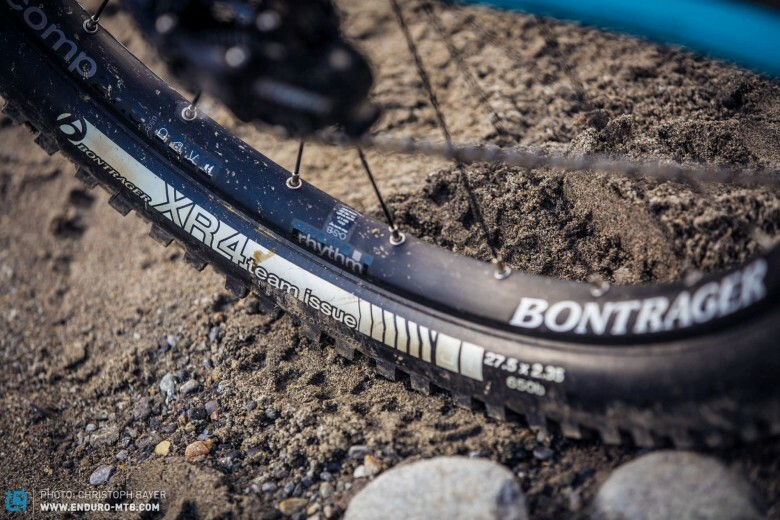 A 2″ Bontrager XR3 on the rear for speedy riding. 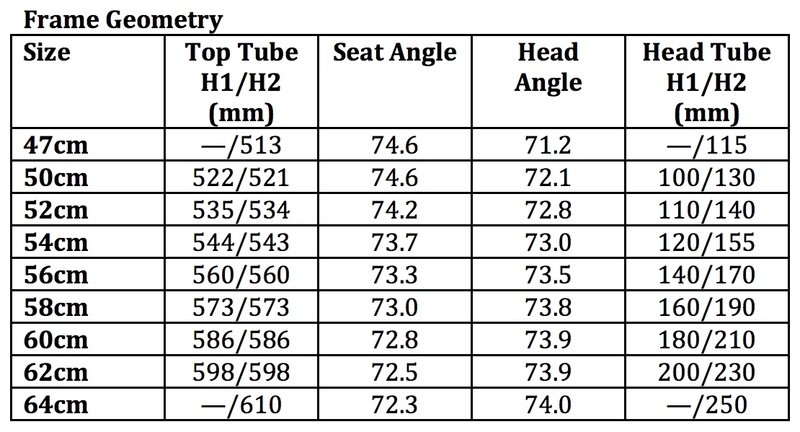 The front tire is 2.35″ for more cornering traction. 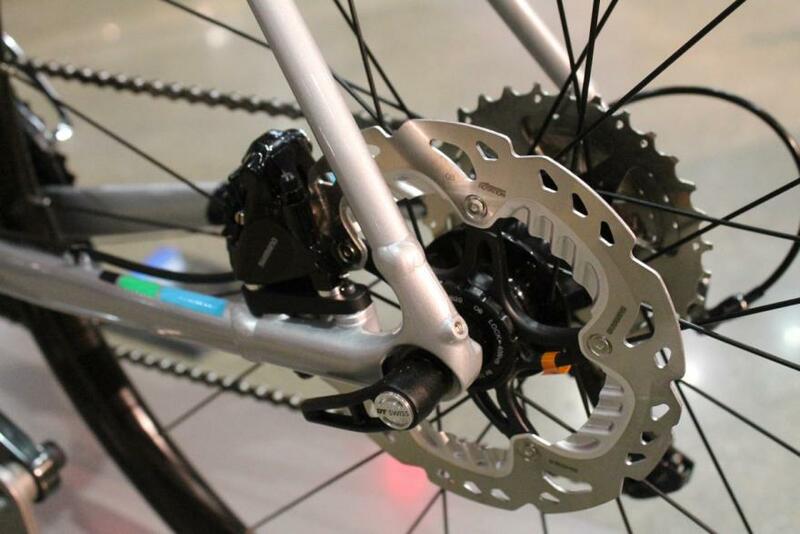 Reliable Shimano XT brakes match the drivetrain. 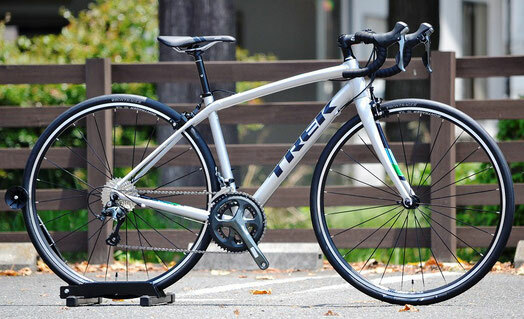 The Trek Fuel EX doesn’t stand out in one particular way, especially with the parts and familiar design. 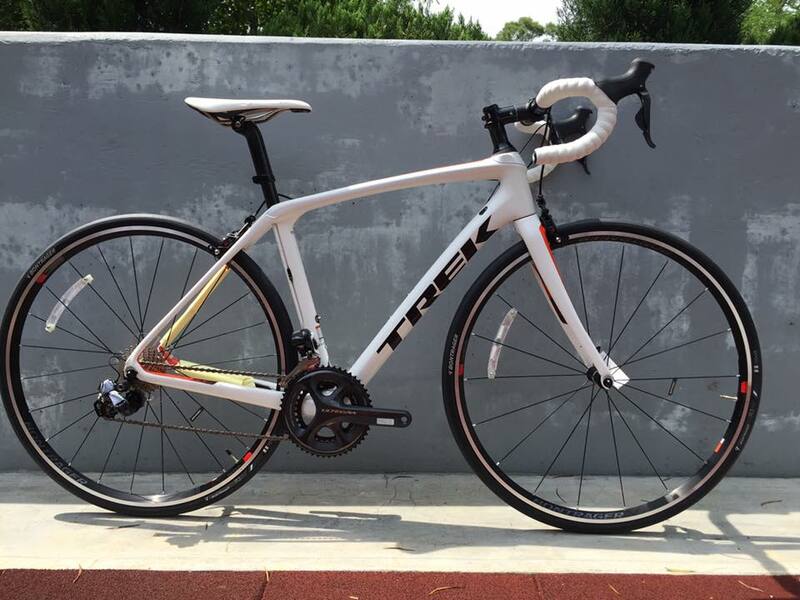 However, the understated technology and careful evolution Trek is known for may just produce a winning bike here. Check out issue #015 next week to find out! The bike makers were also allowed to improve the downhill performance of their bikes by making small spec changes, just like bike shops often do. This includes changes to the cockpit, tyres and retrofitting a dropper seatpost. 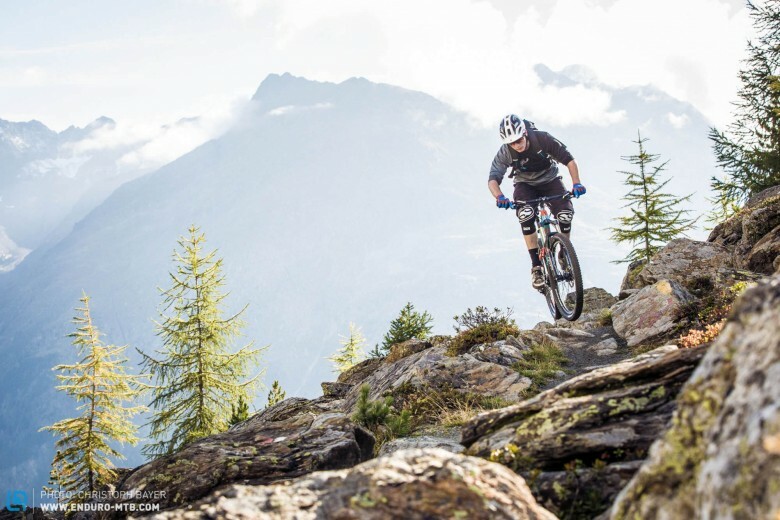 The test team, made up of ENDURO editors Robin Schmitt, Joe Parkin and several other experienced test riders carefully examined the bikes over multiple days. The team established the strengths and weaknesses of each model, and discussed in depth the verdict of every bike. Trek’s Remedy already has a long tradition in the US company’s range and has been overhauled many times. 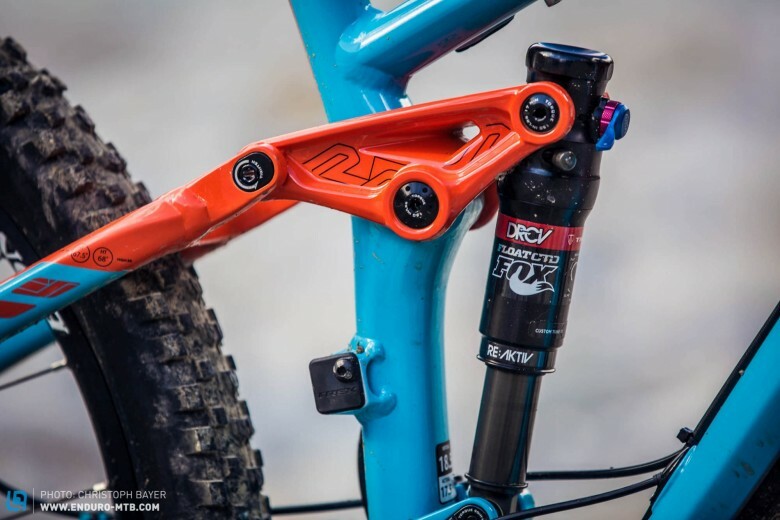 For the coming season the U.S. boys have introduced a new interesting feature: the Fox Float DRCV shock with RE:aktiv technology. Working with U.S. suspension specialist Penske, Trek developed the RE:aktiv valve, which replaces the well-known Boost Valve system and should create a restrictive compression response curve. 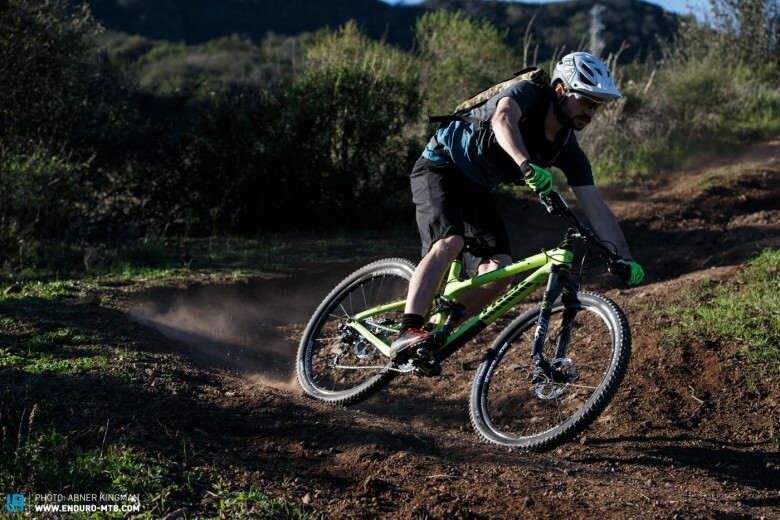 In non-jargon, that means that the transition from low- to high-speed compression becomes noticeably smoother, offering much better traction and less drivetrain-induced movement. 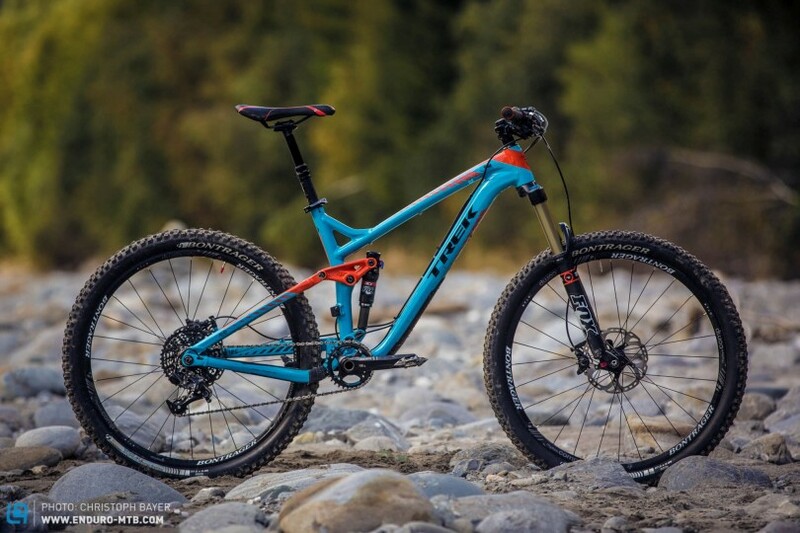 In terms of spec, Trek has also moved with the times and fitted the Remedy with a SRAM X1 1×11 drivetrain, a RockShox Reverb dropper post, and a 750mm bar. 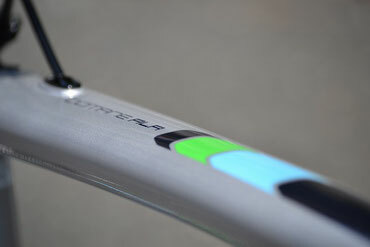 Testers only found the 75mm stem length to be too long for this travel category. 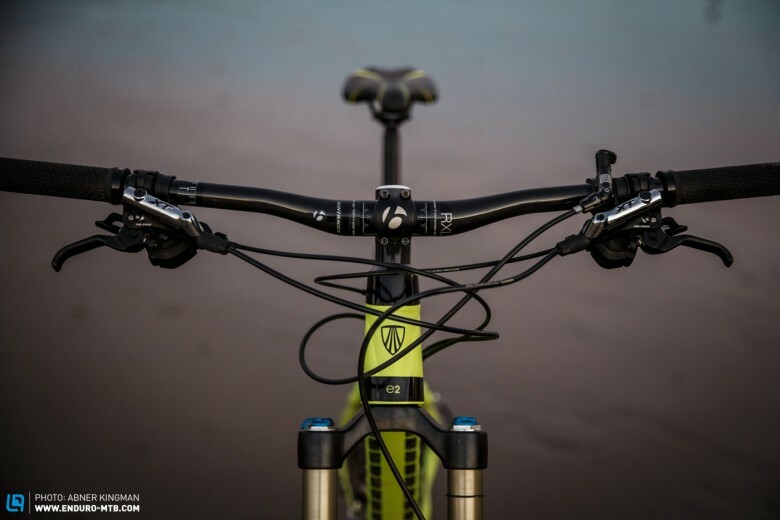 Aboard the 27.5″-wheeled Remedy, the rider feels comfortable and well integrated with the bike. 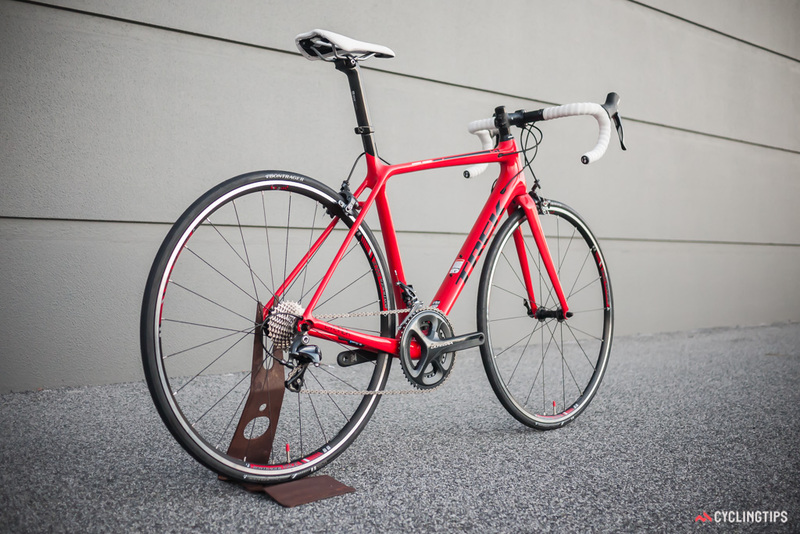 On climbs, the neutral rear suspension provides great momentum and the steep 75 ° seat tube angle provides plenty of pressure to the front wheel and pedals. After activating the dropper post, the 140mm bike really shines on the descents with its bump-eating rear suspension system. Both suspension elements give full travel willingly and offer good traction. The Trail mode on both shock and fork was our favourite suspension setting. In this mode the RE:aktiv valve works outstandingly well and any re-adjustments of the suspension are really superfluous. 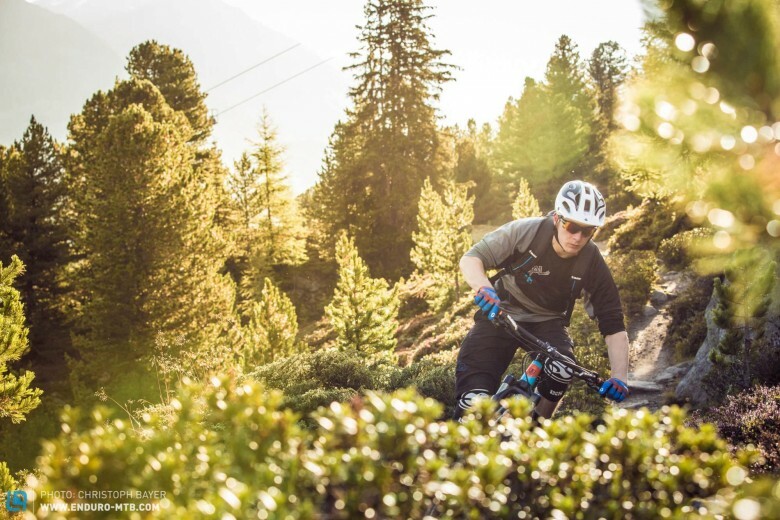 On steep descents, however, the fork dives deep into its travel, and combined with the low front end and short steerer tube create a very front-heavy riding position. We would hope for a more effective compression damping adjustment from the Fox 34 Performance fork. The Remedy feels really at home — mostly due to the 67.5° head tube angle — on flatter, faster trails. 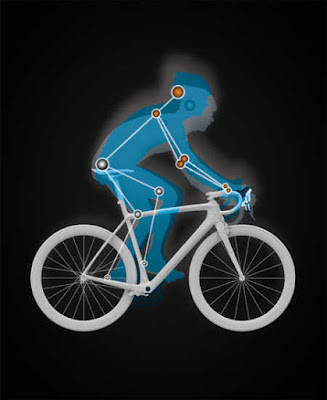 Here the bike becomes a real rocket, responding willingly to steering inputs and allowing precise navigation. The low standover gives the rider lots of room to move on the bike, and playful manoeuvres become a breeze. Riding fun unlimited! 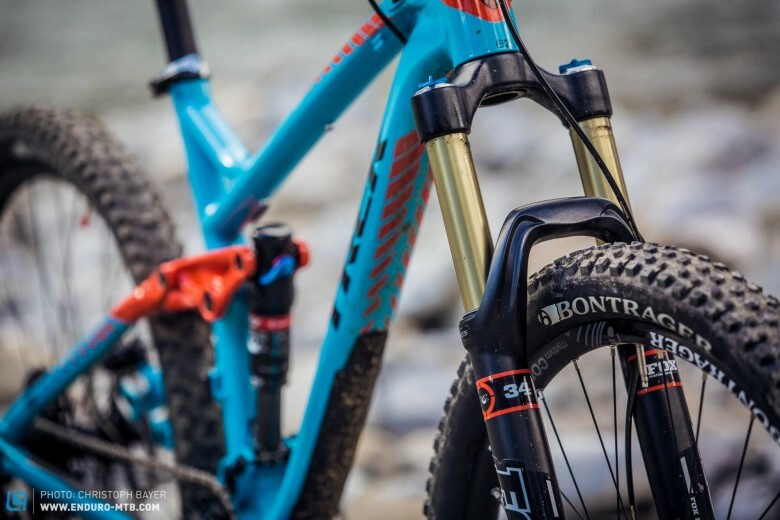 Under-damped: On the entry-level Fox 34 Performance fork, the testers wanted firmer low-speed compression damping. 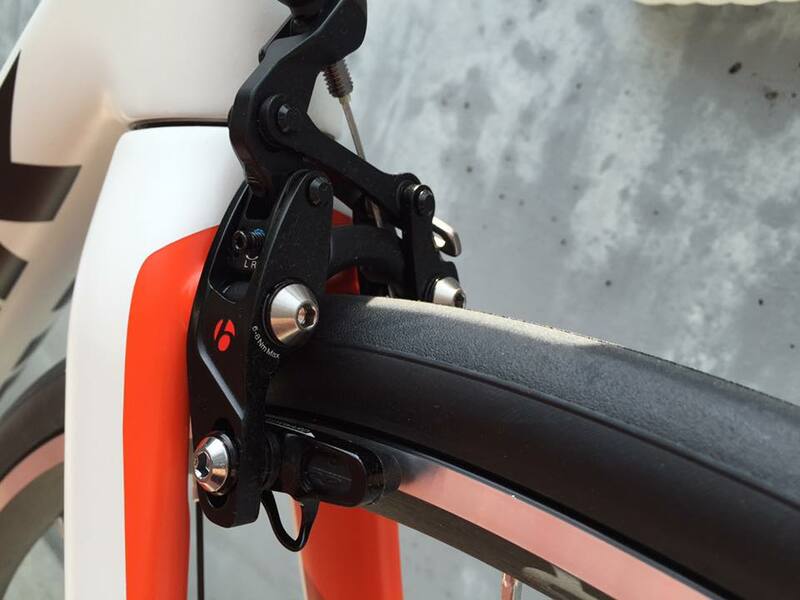 The fork dives excessively on steep descents and during braking, leading to a front-heavy position on the bike. 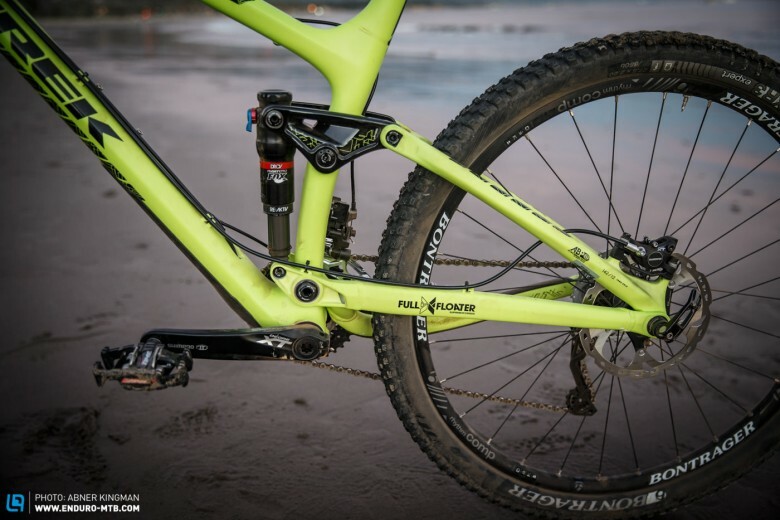 USP: Trek has managed to further improve the performance of its patented Fox Float DRCV rear shock with the new RE:aktiv valve. The rear suspension impresses with great efficiency and outstanding traction. Good and cheap: 1×11 is a hit! 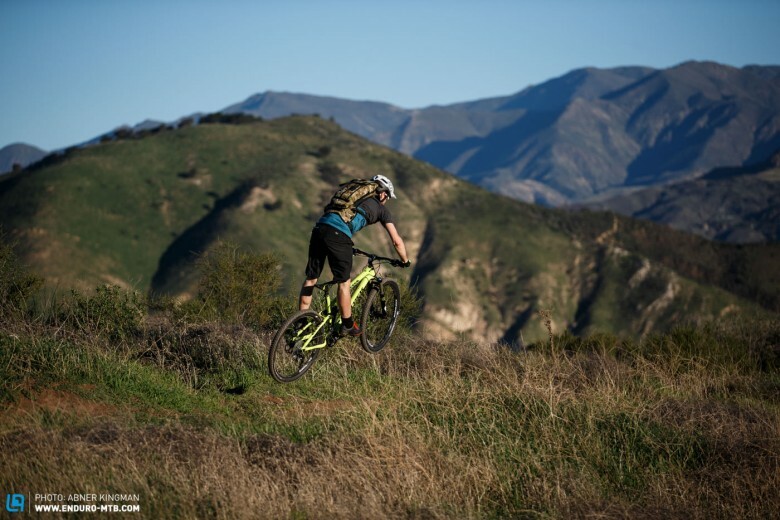 On the Trek Remedy the new SRAM X1 drivetrain proves that it too can provide fast and precise shifting. Criticisms? Look elsewhere! 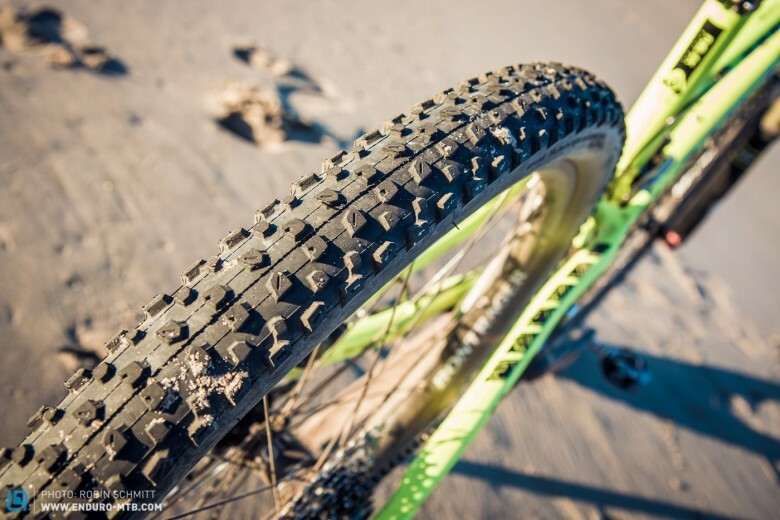 Recommended: The Bontrager XR4 Team tyres impressed the testers in hard, dry conditions with great grip and low rolling resistance. On really rough trails or in very soft conditions, the low-profile tyres can reach their limits. RE:aktiv rocks! 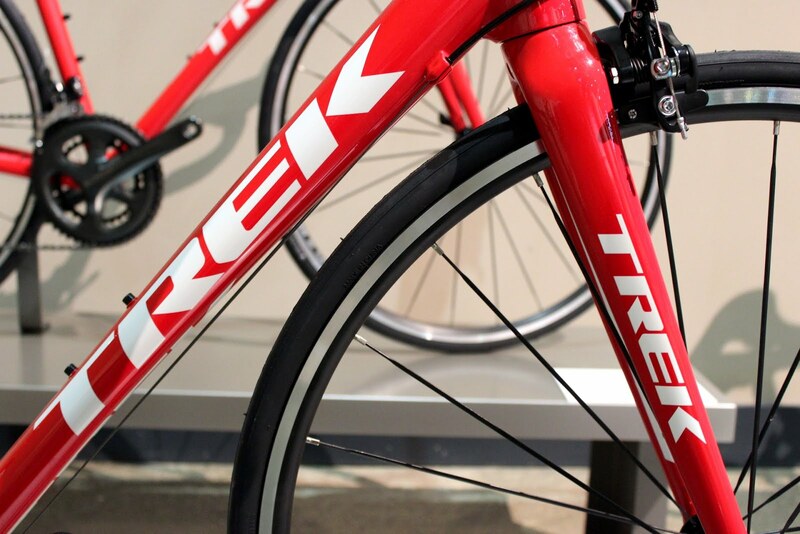 The € 3,999 Trek Remedy impresses with fantastic rear suspension performance and handling. With its well-thought-out geometry and balanced spec, it comes very close to the perfect ‘do-it-all’ bike. 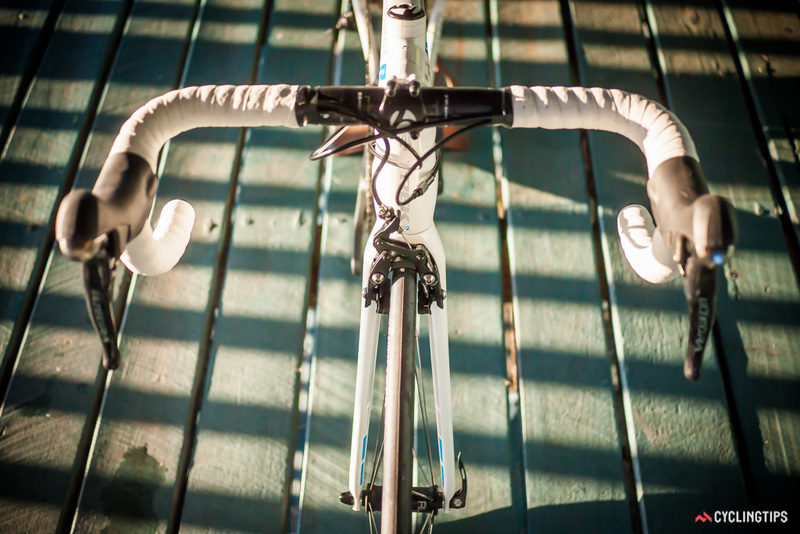 Depending on your preferred type of use, some spec changes might optimise the performance. 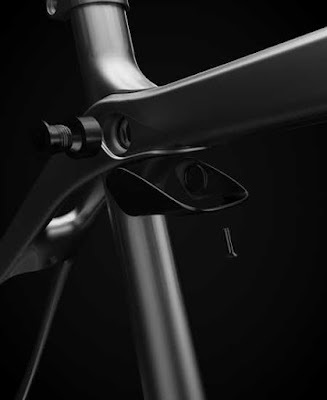 Every detail of the Émonda line serves the same audacious goal: to create the lightest line of production road bikes ever offered.Built with unmatched attention to balance and handling, Émonda ALR offers elegance on a new level, far surpassing the lightness and performance of many of its carbon competitors. Revolutionary welding technolgy creates a better connection with each tube junction, increasing strength while using less material. We’re already fans of the Trek Emonda ALR thanks to the lively, lightweight aluminium frame, which marries excellent performance with good value. 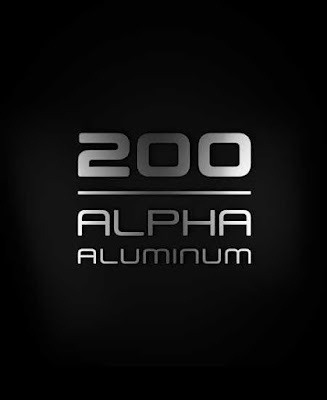 Good quality’s aluminium is like that – you can get a lot of bang for your buck. Claimed frame weight is 1,050g, so it’s lighter than the carbon fibre Emonda S, and the same chassis is used on the three bikes which make up the 2017 Emonda ALR range. The Trek Emonda ALR 5 is the pick of the bunch for us and pairs that lightweight frame in team livery with a Shimano 105 groupset for £1,200. 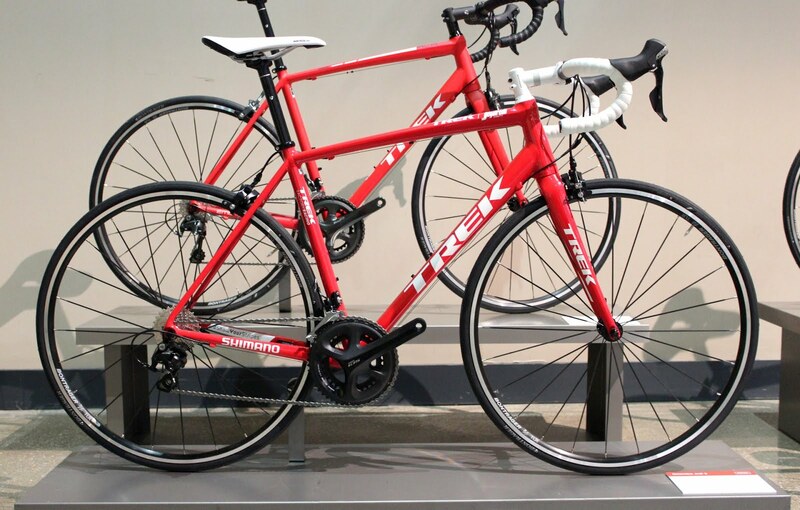 Otherwise you can get a Tiagra groupset for £975 and an Ultegra-equipped machine for £1,500. 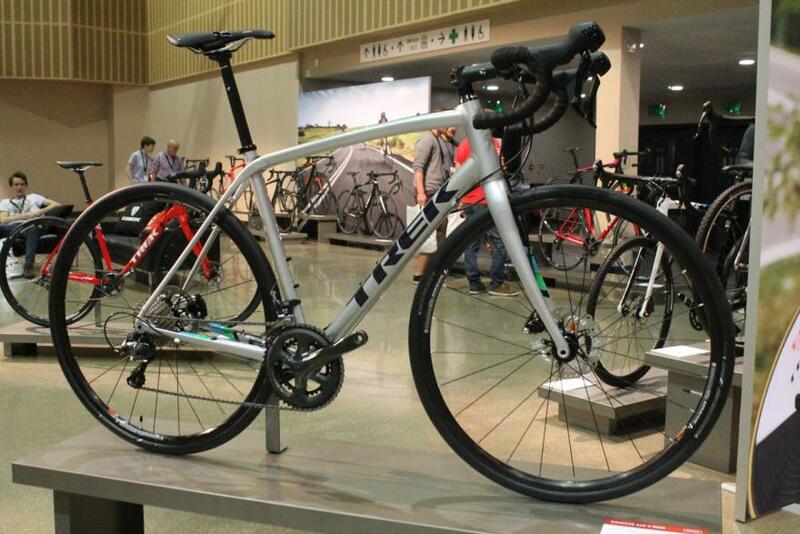 Trek also offer the Emonda ALR as a frameset only for £700, so you can put together your own alloy build if you want. One for the next Jens Voigt? What about the kids? 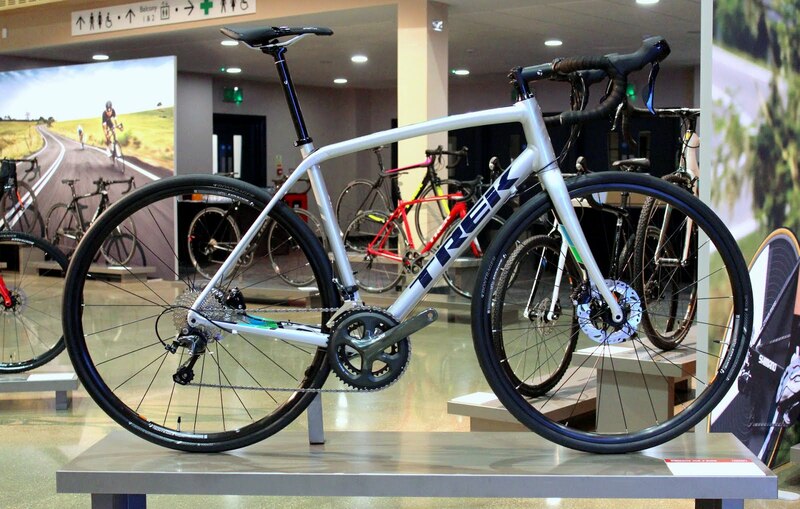 Trek offer the Emonda ALR as a child’s road bike, made from aluminium, and specced with 650b wheels and Shimano Sora (with a 46-34t chainset) for £750. 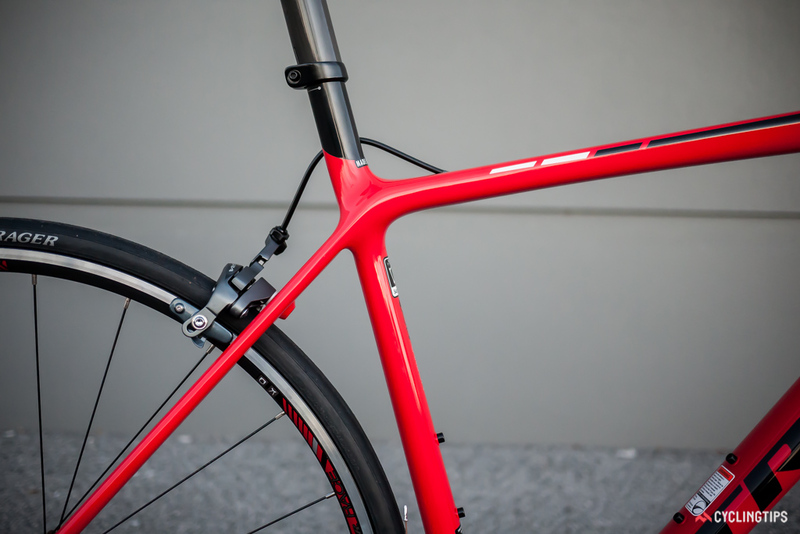 The geometry of the Emonda ALR is the same as the more expensive full-carbon Emonda. The bikes feel very similar on the road. 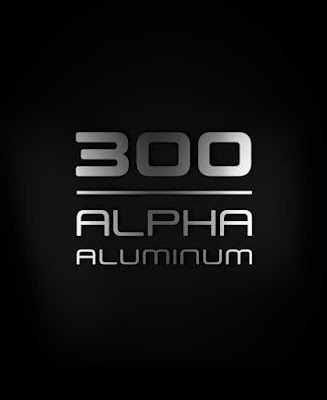 The 300 Series Alpha aluminum is tuned by hydro-forming the tubes to be size-specific so that they provide the target balance of stiffness and weight at every frame size. 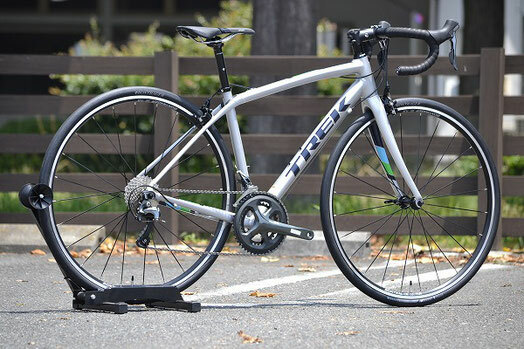 Trek also uses “Invisible Weld Technology” to minimize the amount of material used to build the frame to reduce the overall weight. A Size 54cm ALR 6 weighs 16.4 pounds! 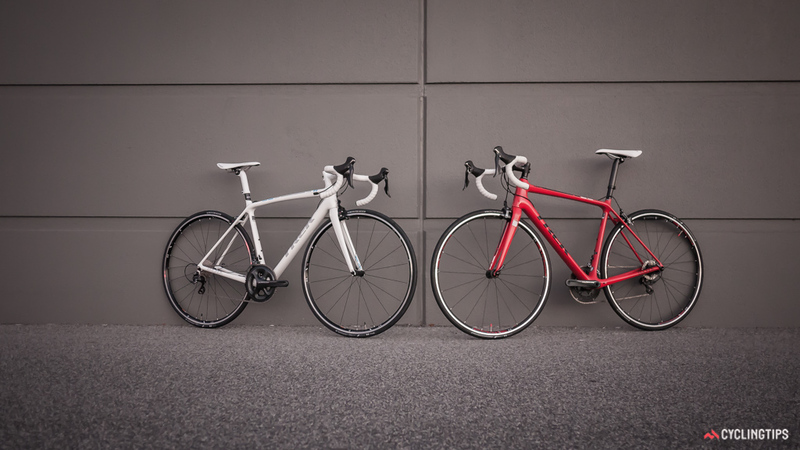 A nice decision by Trek was to build each Emonda with a complete Shimano group set on each bike. 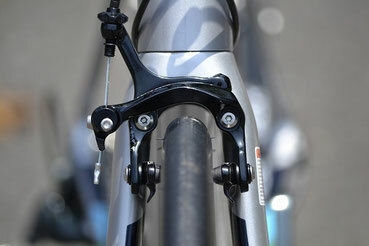 That means each bike regardless of group is 100% Shimano – compact crankset, brakes, shifters, etc. All of the ALRs come with Bontrager Tubeless Ready wheels and Bontrager stems, handlebars and saddles. 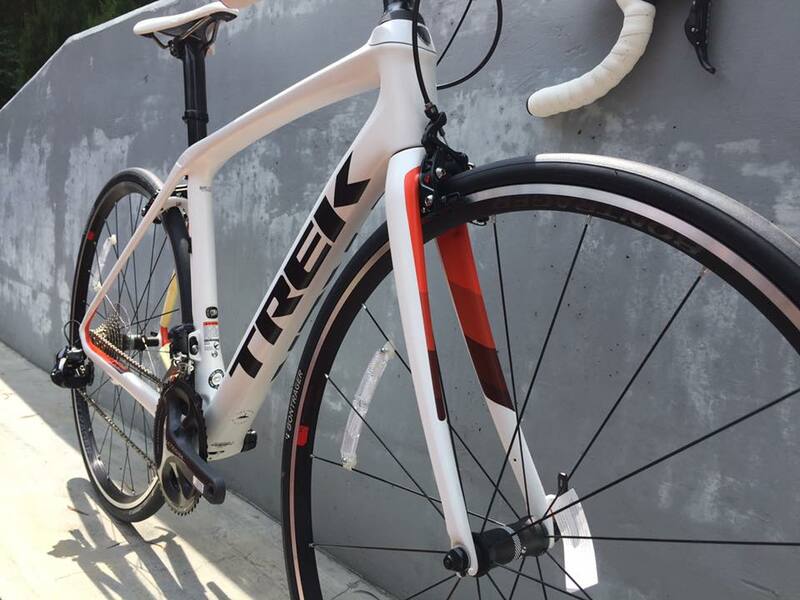 Trek Bikes spent lots of hours testing the frame design and the end result is a frame that is comfortable and fast. 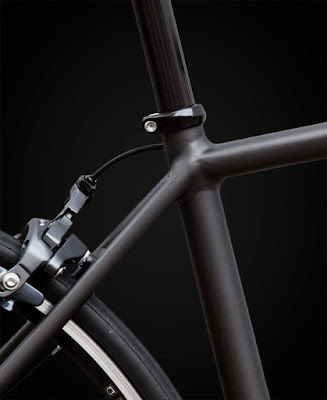 The Emonda ALR has precise, responsive and predictable steering. 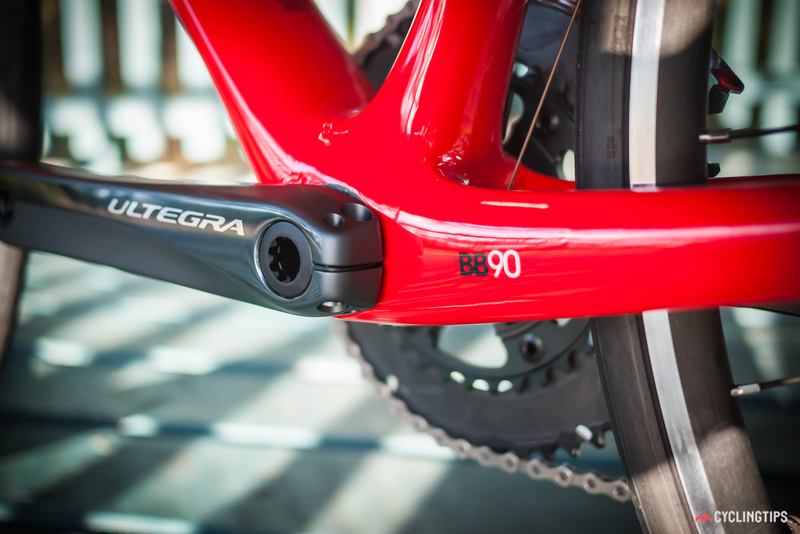 With the new aluminum frame technology, the bike is stiff at the bottom bracket making it accelerate when stomping on the pedals. 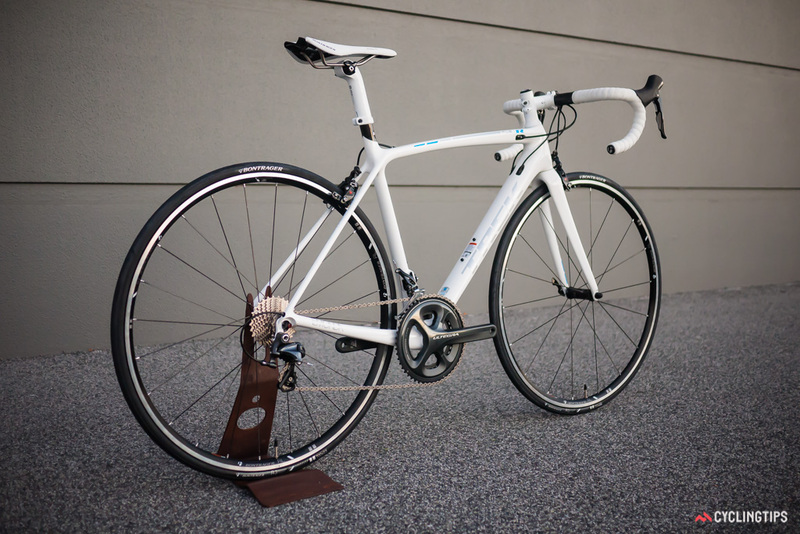 The bike climbs as well as the carbon version. The wide bottom bracket shell, stiff chain stays and tight front end result in a bike that works with you, not against you when climbing out of the saddle. 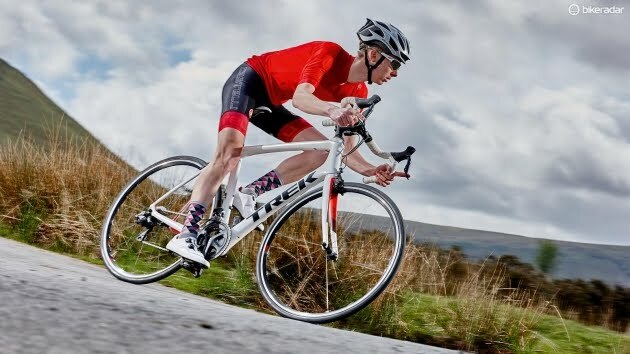 If you are looking for a light weight, race worthy and economically priced bike, the Emonda ALR is the bike for you. 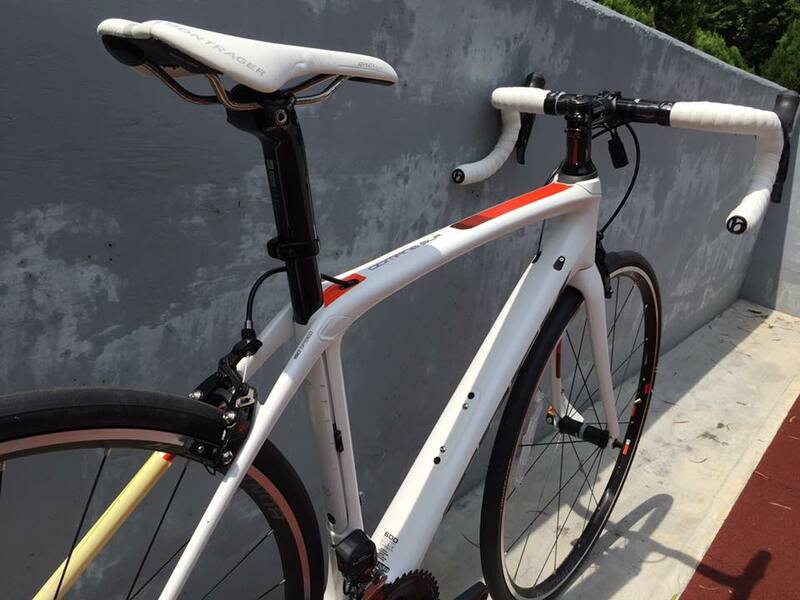 The bike isn’t a carbon superbike, but will make you a better, faster rider without the high price tag. 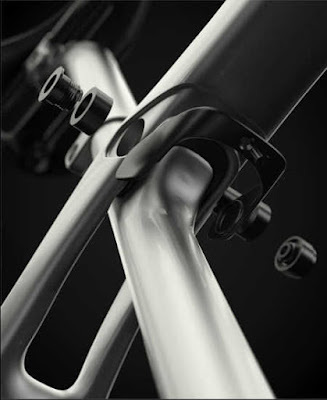 Trek’s high-performance road alloy, formed intosophisicated tube sgapes for maximum strength and minimum weight. At the core of Trek’s endurance cimfort technology is the IsoSpeed decoupler, the result of an 18-month study of how a racing bike performs over rough roads, and how that performance affects the rider. Additional tire clearance allows Domane to go where no road bike has gone before. Race, ride, explore. 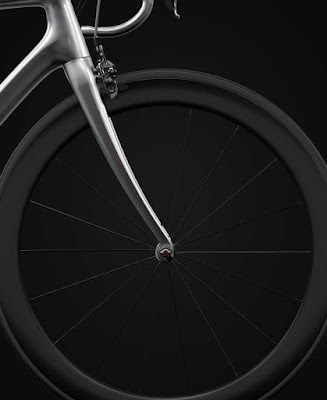 Domane SLR is available in a caliper and disc brake option, which both have additional tire clearance. 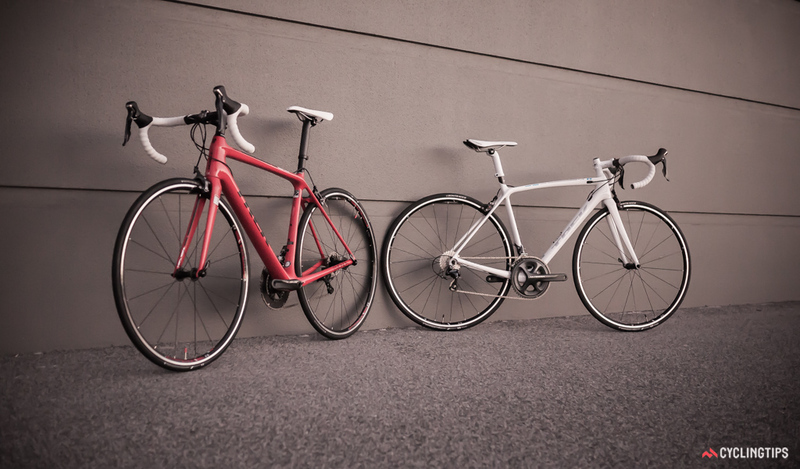 Adding to the platform’s versatility, riders can now run 28c tires on Domane SLR and 32c tires on Domane SLR Disc whilte still meeting CPSC and ISO clearance standards. 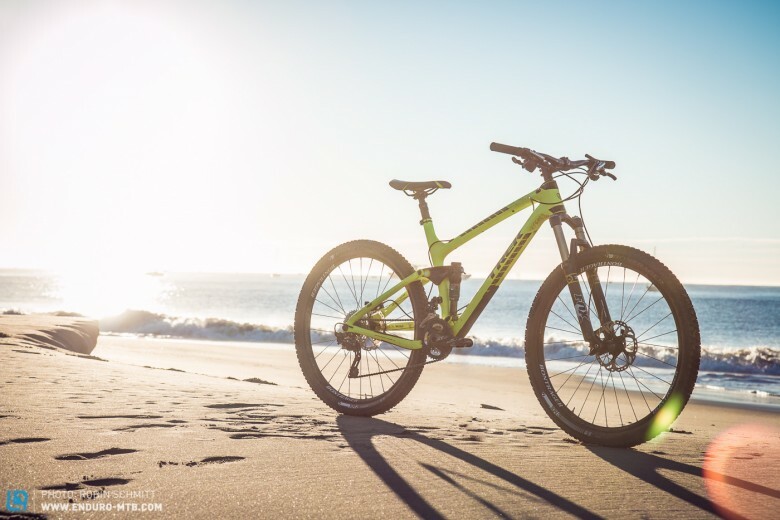 The caliper version features lightweight direct mount brakes and the disc equipped bike highlights 12mm thru axles while both bikes include hidden fender mounts. It’s a one-two punch: generous ride-tuned sweep and shape increases compliance for a smoother ride, and unique dropout placement optimizes the wheelbase.